Cardi B's plans for Super Bowl 53 involve the tasty soda we all love. Okurrrr, Cardi B is locked in as the Super Bowl 53 Pepsi commercial spokesperson. TMZ was told the ad has already been filmed and will air during this year’s Super Bowl on February 3 on CBS. The status of being a Pepsi spokesperson is a huge win for Cardi B. The Pepsi list includes a prestige group of celebrities including Michael Jackson, Madonna, Britney Spears, Christina Aguilera, Beyoncé, David Beckham, Britney Spears, Jennifer Lopez, Nicki Manaj, One Direction, Kendall Jenner and Cindy Crawford. Over the years, the Pepsi Super Bowl commercial is one with a lot of attention with lasting influence. The Pepsi commercial isn’t the only thing going for her that weekend. Although there was controversy over Maroon 5 doing the halftime show with a Cardi B, causing negotiations to fall flat, she will headline the last night of Atlanta’s Super Bowl Music Festival on Feb. 2. The Bud Light Super Bowl Music Festival is a three-day event featuring Ludacris, Migos, Lil Yachty, Aerosmith and more. Bruno Mars will join her for her set on the last night. 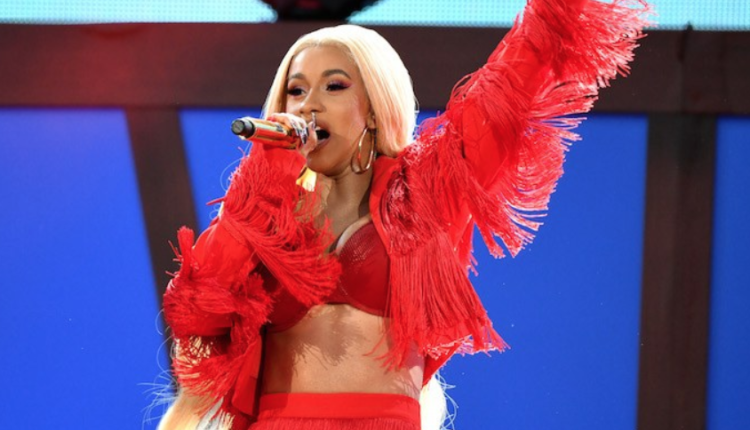 A week after the Super Bowl, The 61st Annual Grammy Awards will be live streamed from the Staples Center in Los Angeles, where Cardi B is nominated for five Grammys. Nominations for the 2019 Grammy Awards were announced in December of 2018, featuring the best recordings from Oct. 1, 2017 to Sept. 30, 2019. Shawn Mendes, Alessia Cara, Janelle Monáe and Zane Lowe announced the first wave of nominations Alongside the hosts of CBS This Morning. Her nominations include Best Rap Album and Album of the Year for Invasion of Privacy, Best Rap Performance for “Be Careful,” Record of the year for “I Like It” with Bad Bunny and J Balvin and Best Pop Duo for “Girls Like You” with Maroon 5. Watch the 61st Annual Grammy Awards on Sunday, Feb. 10 at 8:00 p.m. EST on CBS. What are your thoughts on Cardi B as the 2019 Pepsi spokesperson? Are you excited for the Super Bowl commercials this year? Let us know in the comments or on Twitter at @WhatsTrending.